All hail the Netflix documentary. Making it possible to learn something new after a long day in the office, all from the comfort of your own sofa. Here we’ve rounded up our pick of the top 5 documentaries on sustainability that you can currently find on Netflix. Who said watching TV gives you square eyes. Coral like you’ve never seen it before. Shocked by the bleaching of global coral reefs, a group of scientists and videographers create submersible cameras to record the decay of a coral reef in real time. The result is a science experiment with life or death consequences for one of the most diverse ecosystems on the planet. This film is one of our favourites on Netflix. Just when we all thought Leonardo Di Caprio couldn’t get any better, he features in this film as the UN Messenger for Peace. Taking the unwieldy topic of climate change, Di Caprio travels to five continents in search of the reasons for, and answers to, this global crisis. Depressing and humble in equal measure, this is worth a watch even just for the exchange between Elon Musk and Di Caprio over solar panels. 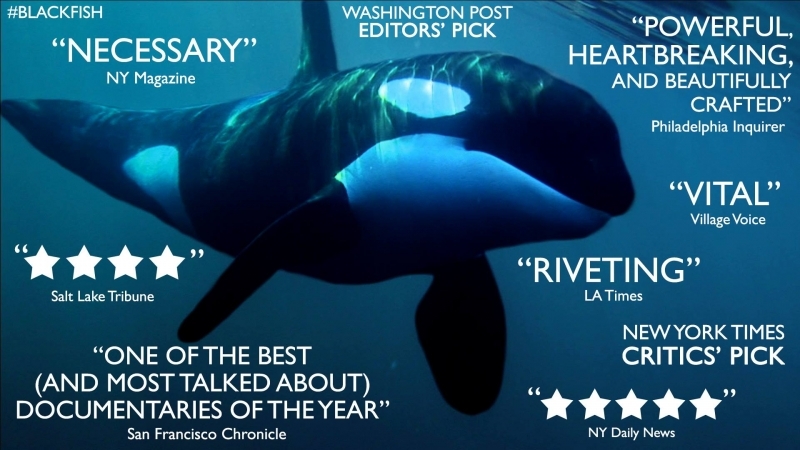 Blackfish is an eye-opening look at the lives of killer whales in captivity, centring around one in particular: Tilikum, who was responsible for several casualties whilst performing in shows. Be prepared; the film doesn’t shy away from the gritty details, it features actual footage of the attacks captured by tourists. This is a must watch if you’ve ever wondered about the true cost of everyday mass-produced items on the planet. It follows journalist Craig Leeson as he searches for the elusive blue whale, only to find miles of plastic invading its natural habitat. You won’t be buying a single use plastic bottle again. More than just a rallying cry for veganism, this film is an expose of why animal agriculture, the biggest cause of environmental damage to our planet, is ignored by the very organisations who exist to protect it. Be prepared to have your thoughts, and eating habits, challenged head on. If any of these leave you with a new inspiration to cut the plastic & eat less meat then take a look at our 6 tips to start your eco-warrior journey. The post Sustainability documentaries: Our top 5 appeared first on Peppersmith.